What kind of face wash and/or creme do you use?? My skin is now looking the worst that it ever has. I had my baby not too long ago, and it seems like my since then my skin has become bad. It seems to be very dry. After I wash my face, it becomes so dry. So, I'm going to buy a new face wash, and look into getting some type of a face cream. I read that vitamin E us good-?? What products are good for the face?? I use an Italian brand face wash and face cream , they are really good and my skin feel wonderful after switching to them. The brand is L'Erbolario. Also, Vitamin E is really good for moisturizing skin, any product with that should be good for dry skin. 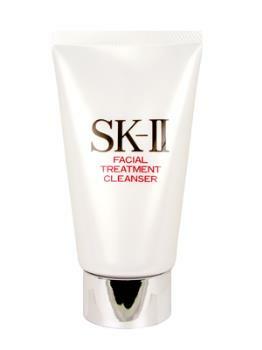 i'm currently using SK-II facial treatment cleanser. my skin seems to be able to get along with it haha..i havent had that much breakouts and my skin looks much radiant (or so i've been told) after i switched to SK-II few years ago.